Mal. VK6LC will give a talk and power point presentation of his ventures from last May-June-July 2014. to North and South America. A three-month DX Vacation that covered 65,000km. of travel. Touring, sight-seeing meeting Radio operator friends and two DXpeditions. VK6LC/USA. It will encompass West-East of North America by Amtrak Railway, mobile and home base operating. South America: “The Grey Nomads” DX Vacation 2014. HK3/VK6LC Bogota and the Andes Mountains. HK9/VK6LC. DXpedition to the Amazonas. HK0/VK6LC. 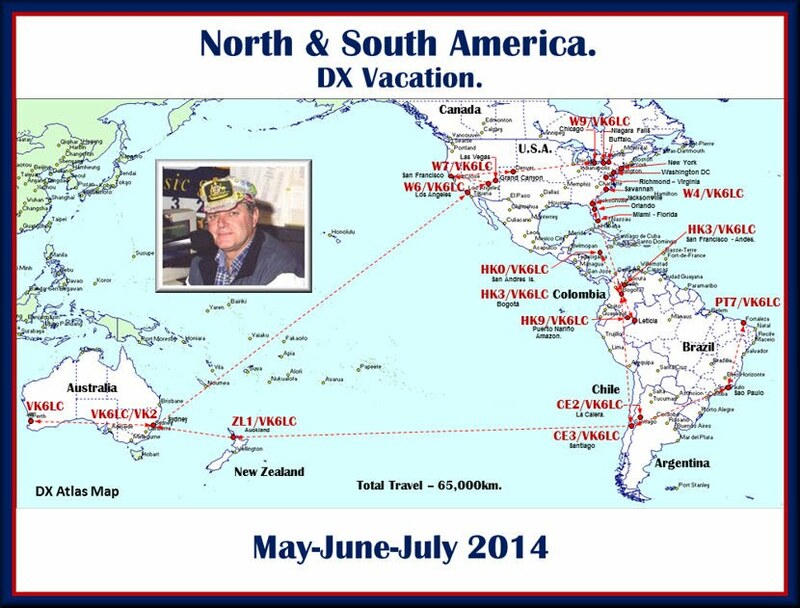 DXpedition to San Andres Island. CE2/VK6LC La Calera, Central Chile. During the power point there will be a talk through as its progresses. We anticipate it will run for approximately 1 hour. Extended for question time. Mal. has now completed operating in 6 Continents of the World.